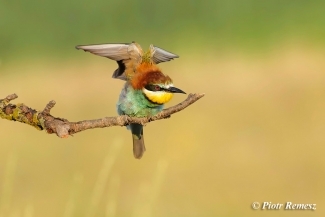 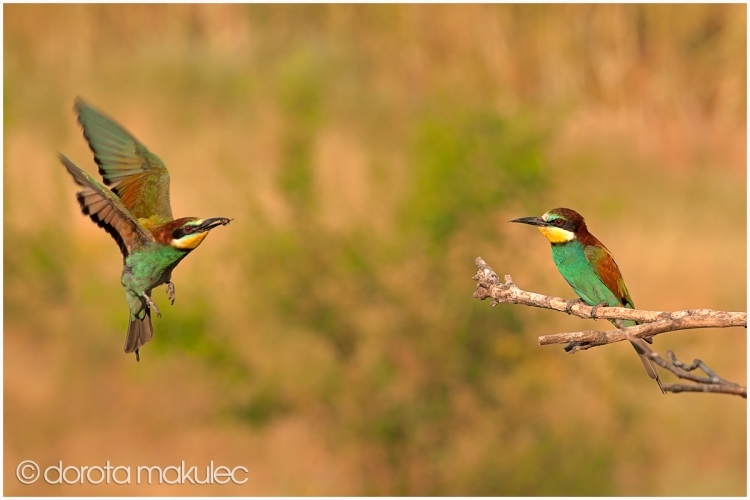 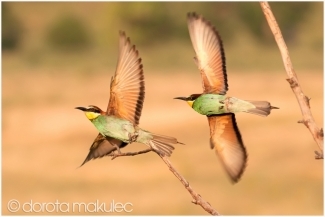 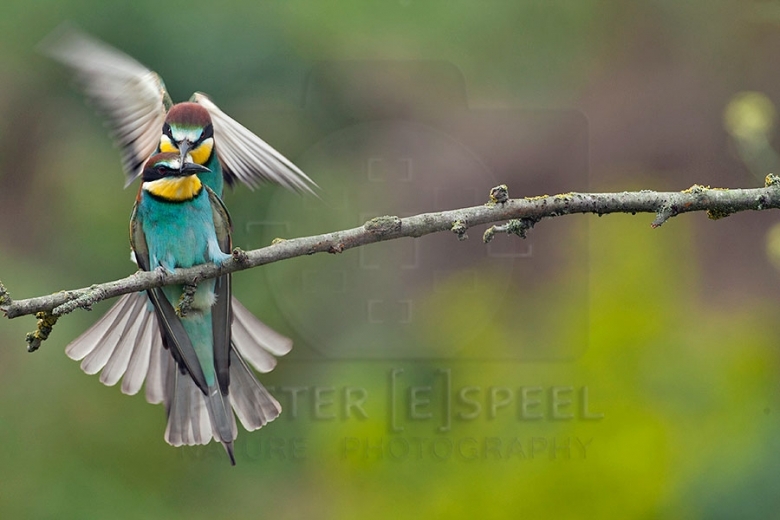 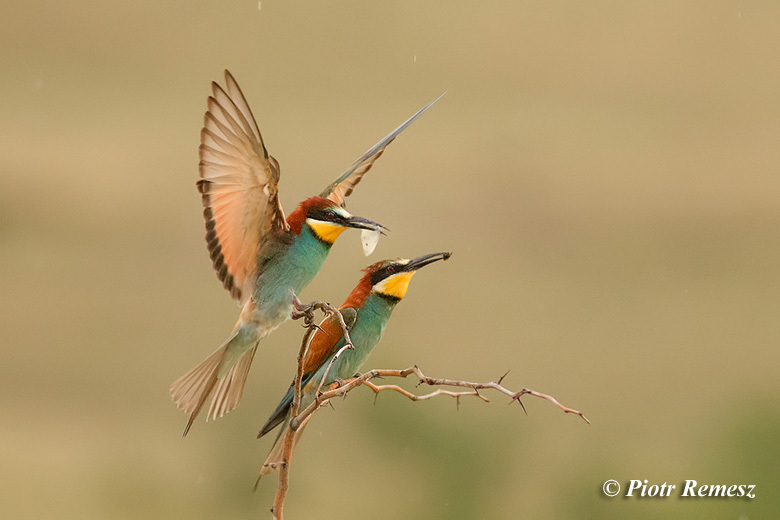 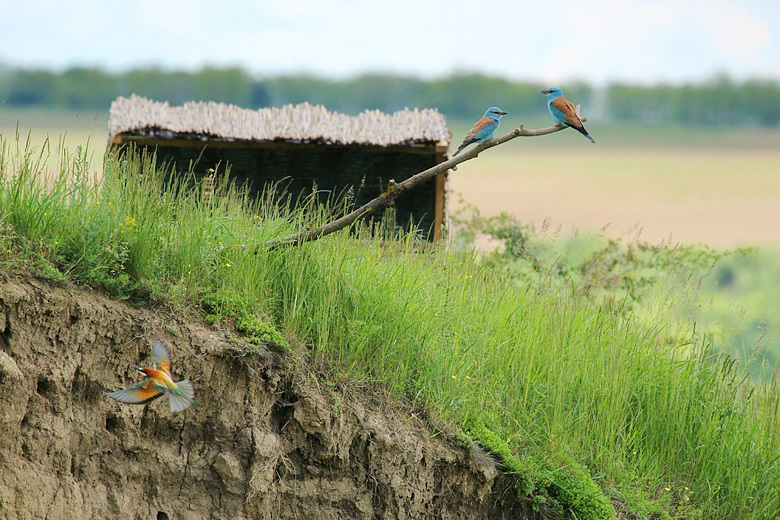 This is a permanent photo hide adjacent to a sand wall where Rollers, Bee-eaters and Starlings breed. 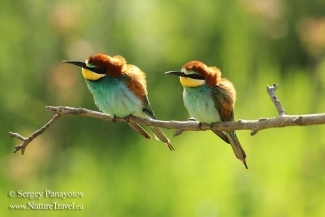 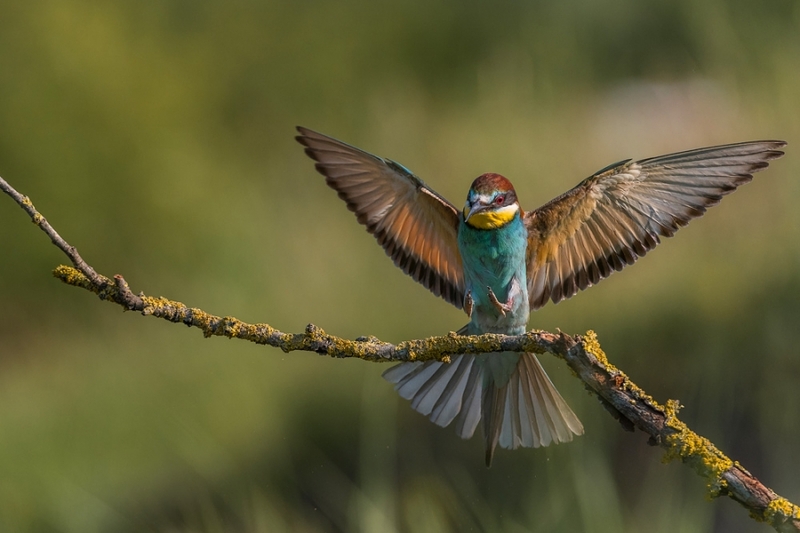 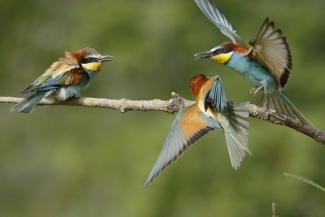 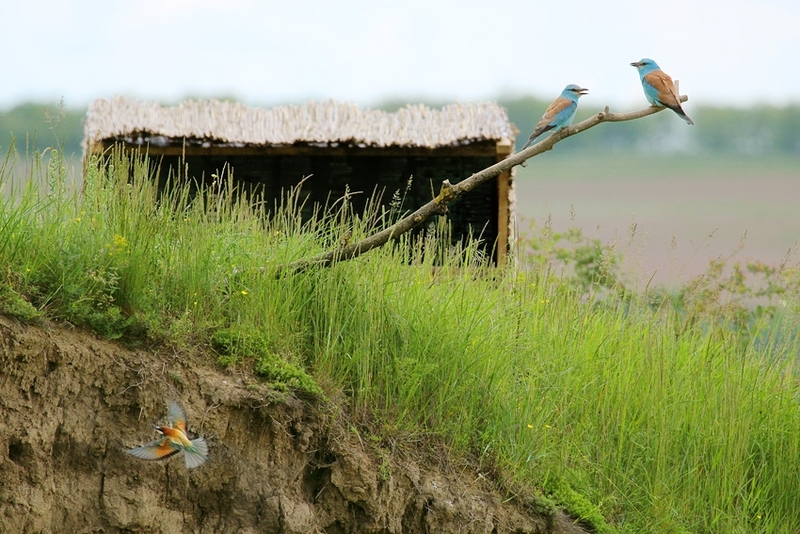 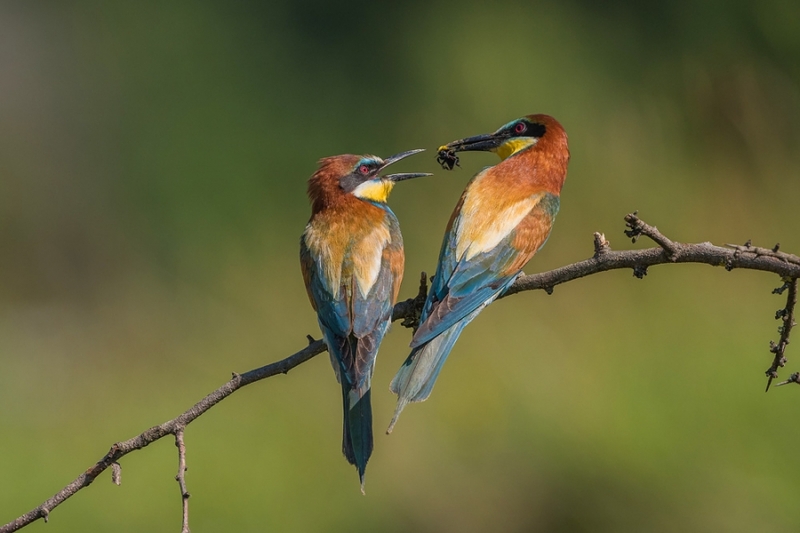 The hide is at a secure distance from the nests with no risk for disturbing the birds, but at the same time close enough to their favourite perches where they rest, feed each other or display breeding games and mating behaviour. 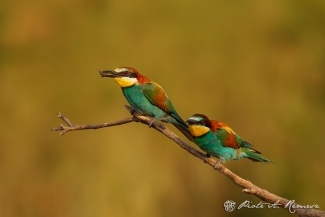 The hide faces northeast, appropriate for afternoon shooting with ideal lighting or early morning photography in slightly backlit lighting conditions. 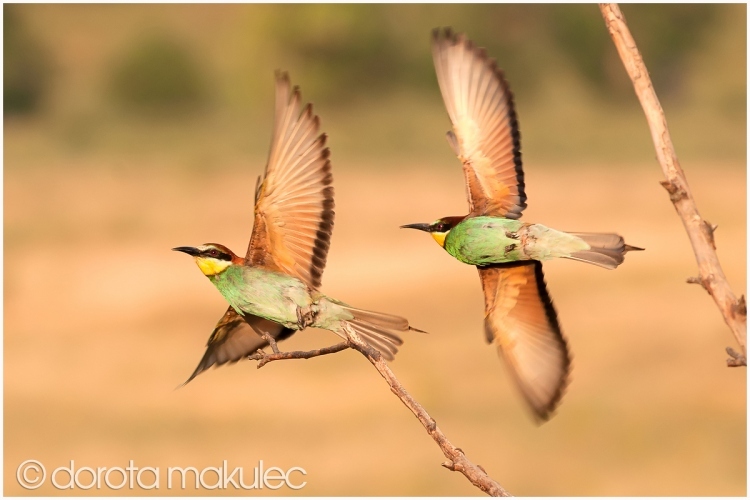 The degree of backlighting in the early morning hours is very suitable for art photography. 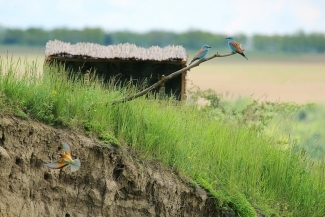 The orientation of the hide is aimed at maximising the use of the specific light conditions, and the green trees nearby secure an appropriate photographic background. 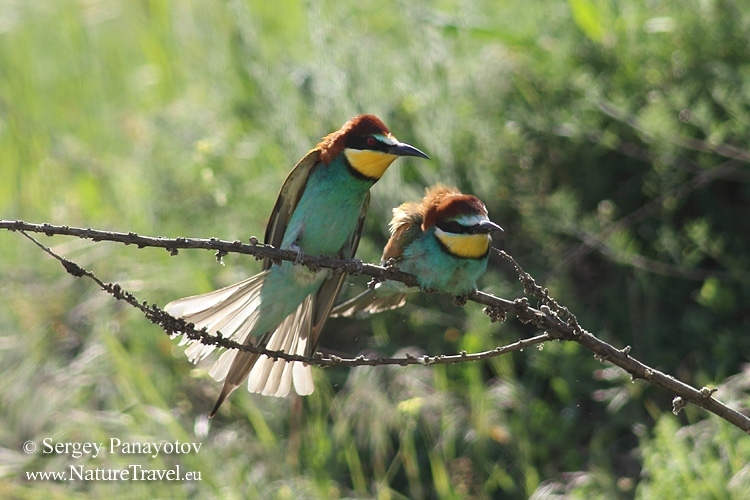 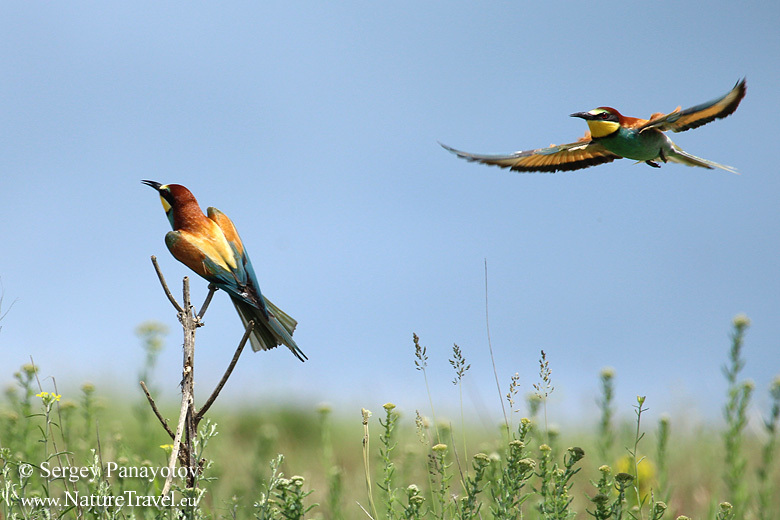 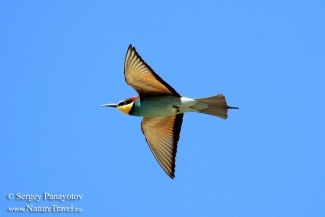 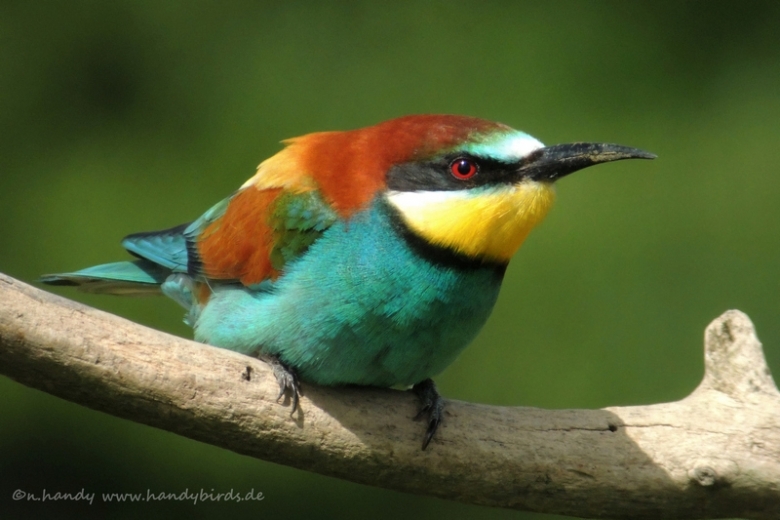 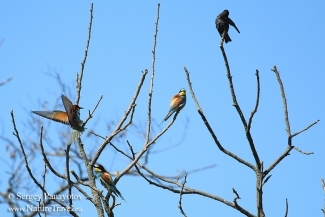 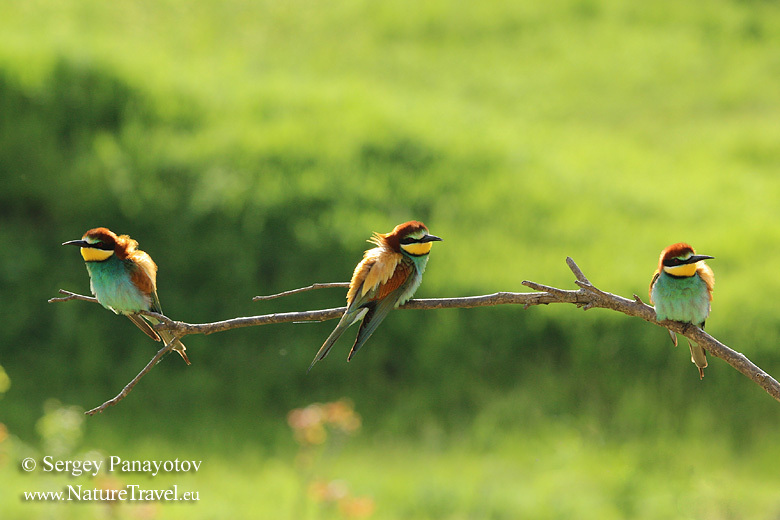 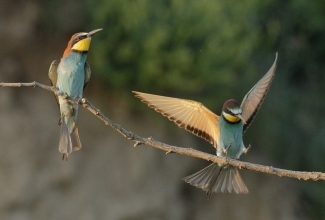 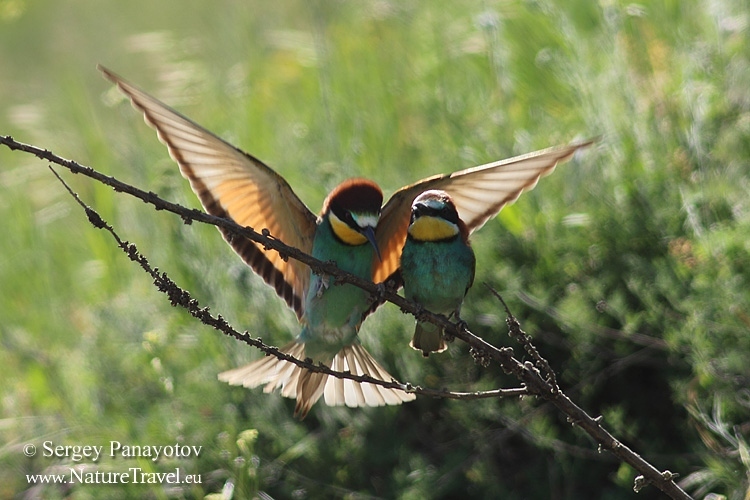 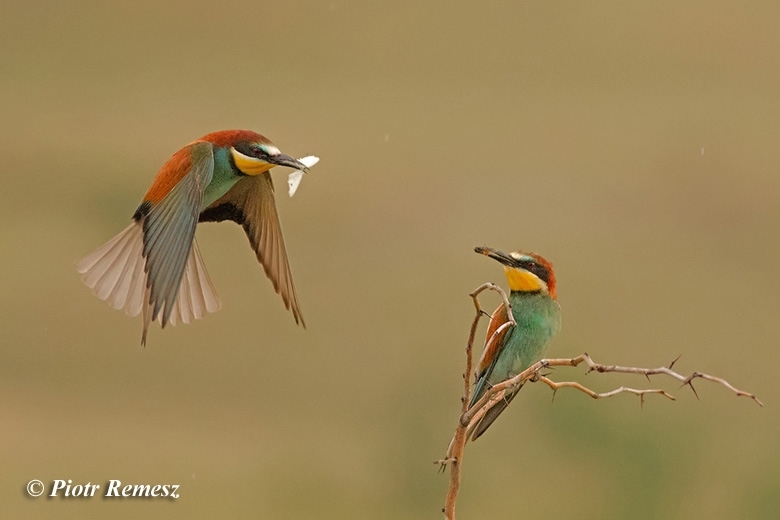 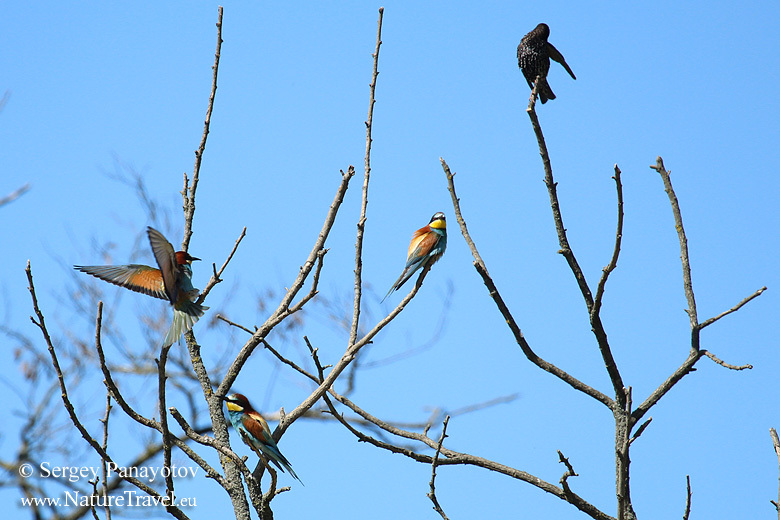 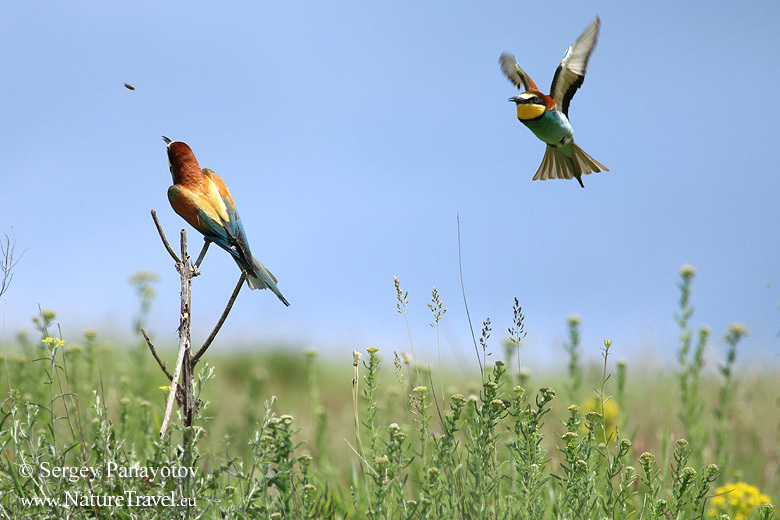 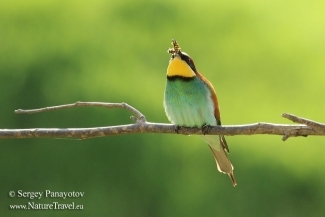 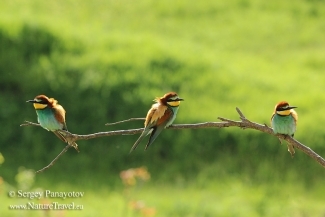 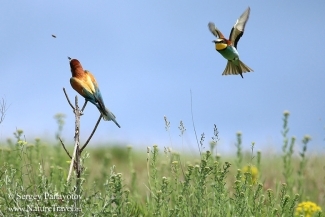 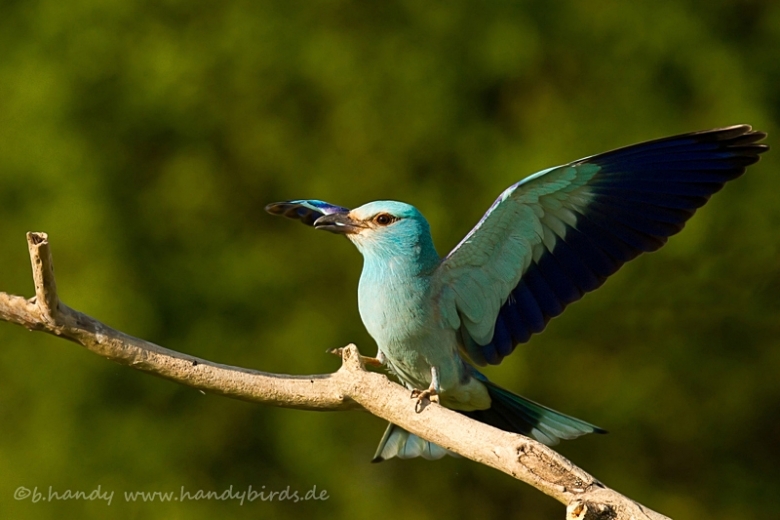 European Roller, Bee-eater, Red-backed Shrike, Ortolan bunting, Corn bunting, Starlings etc.